English: Scaly-breasted munia/mannikin/finch, barred munia, spice finch/bird, ricebird, nutmeg mannikin/finch, spotted mannikin, common munia; French: Capucin damier; German: Muskatamadine; Spanish: Capuchino Nutmeg. 3.9-4.7 in (10-12 cm). Sexes alike with juveniles a paler brown and lacking the scaled pattern on the underparts. 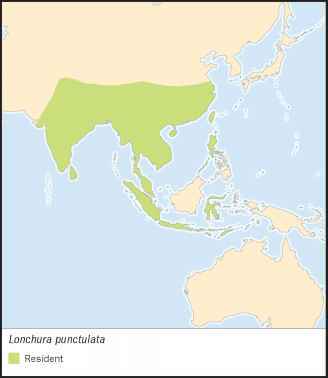 India, southern China, and Southeast Asia including parts of Malaysia and Indonesia. Populations introduced in Australia, Hawaii, Puerto Rico, Japan, and the Seychelles. Inhabits open or semi-open habitats including cultivated and inhabited areas, parks and gardens, grassland, rice fields, and forest edges. Found in large sometimes mixed-species flocks. The call is a repeated "kitty-kitty-kitty." The soft song is a "klik-klik-klik" followed by a series of whistles and ending with a "weeee," although it can be highly variable. Feeds on grass seeds, including rice, both on the ground and on live plants. There are several reports of birds feeding on flattened roadkills, possibly as a source of minerals from bones. This species also feeds in human trash dumps taking scraps of bread and other food. 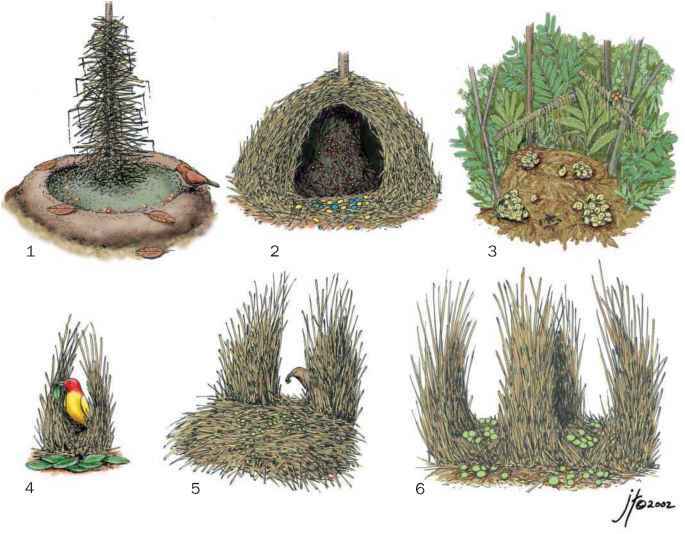 As many as several hundred round nests of grass and bark can comprise a breeding colony. Three to seven white eggs are incubated for 14 days.